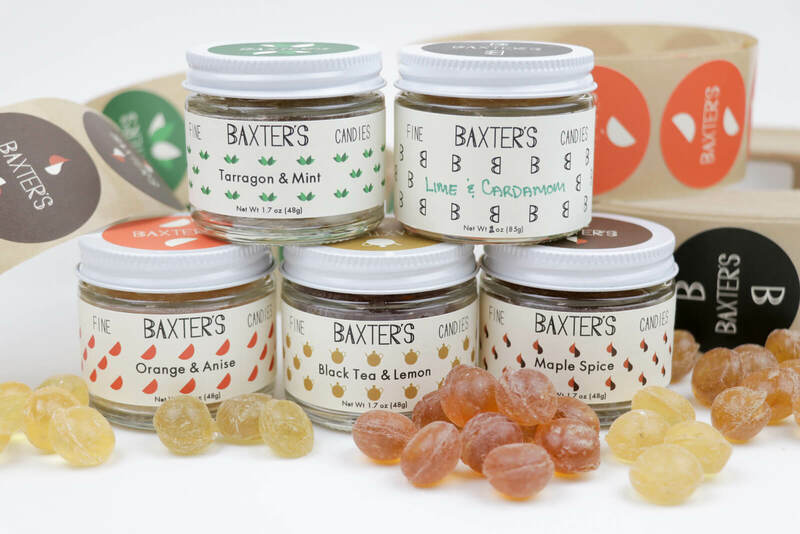 The perfect way to sample the diversity of Baxter’s flavors, this assortment of six jars has something for everyone. Orange Anise / All natural orange and anise oils are used to make a bright candy that is evocative of a pastis creamsicle. 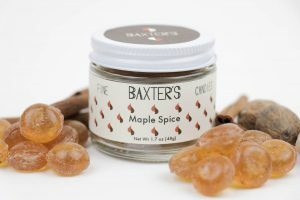 Maple Spice / Maine maple syrup and traditional baking spices create are blended to create a delicious interpretation of a classic New England flavor. 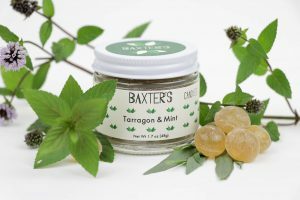 Tarragon & Mint / A refreshing take on a classic mint candy, this drop contains all natural peppermint oil and crushed organic tarragon. 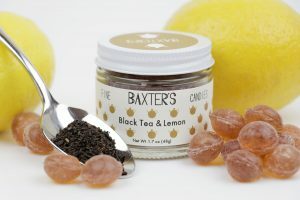 Black Tea & Lemon / Our top seller, this candy has all the depth and color of a freshly brewed cup of tea. It has a less sweet flavor profile, reminiscent of our favorite summer drink, an Arnold Palmer. Made with decaffeinated black tea and lemon rind oil. 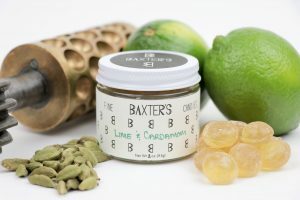 Lime & Cardamom / A touch of ground cardamom brings depth to bright lime.